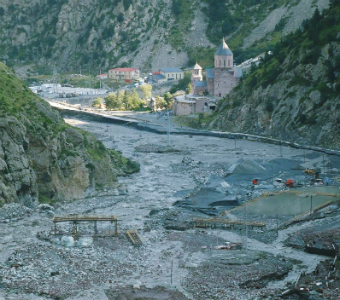 In the night of August 21, only 3 months after a landslide killed 7 people in May, a second landslide struck the Dariali valley in Georgia, near the border with Russia, where the 108 MW Dariali hydropower plant (HPP) is being constructed. So far one casualty has been confirmed with another person reported missing. The material damage is even bigger than in May. The Georgian government announced that, as in May, the landslide was caused by the Devdoraki glacier and triggered by heavy rain through Wednesday night and Thursday morning. While the disasters were not caused by the hydropower plant construction, they do indicate the high geological instability of the area and therefore reveal the irresponsible decision-making by the investor, the Georgian government and the the European Bank for Reconstruction and Development (EBRD), one of the financiers of the project. Geological experts, among them Prof. Otar Duduari, have warned (in September 2013) that the construction site has been chosen inadequately. More recently, Duduari stated that a construction of a hydropower plant anywhere in the Dariali gorge would increase the risks of natural disasters. Georgian Bankwatch member group Green Alternative has for some time now been warning about the high geological risks in the Dariali gorge. The mountainous area is naturally prone to landslides and a major incident happens every other year. 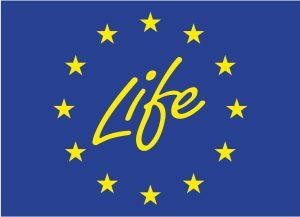 Also the project’s own Environmental Impact Assessment (pdf) clearly identified the risks of landslides and mudflows and pointed out the need for mitigation measures and detailed geological surveillance. None of this seemed to phase the EBRD’s decision to approve the loan. If the hydro construction continues before assessing these risks in detail and without developing the necessary steps to mitigate them, the next catastrophe may be just around the corner. If a landslide were to affect the finalised HPP, it could have a substantial multiplication effects (pdf) in terms of impacts. I sincerely hope that the EBRD and Georgian Government have enough sense of responsibility towards the people living along the Tergi river to not wait for a third deadly landslide to happen. The construction of the HPP must be halted until the risks of landslides are fully addressed. If that turns out to be impossible, the construction should be taken off the table. * The Dariali HPP is part of a larger plan to develop the hydropower potential of the Tergi river and its tributaries. Two other plants , Larsi and Kazbegi are under the ownership of the same company – Dariali Energy. The EBRD’s USD 80 million loan constitute about 65% of the project costs for the Dariali plant.